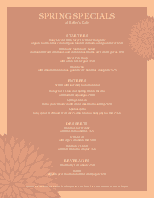 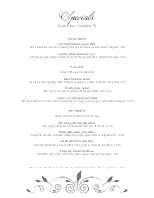 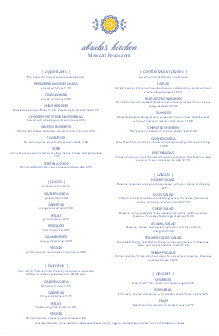 A half-page Specials Menu template for the Mexican Flower Menu collection. 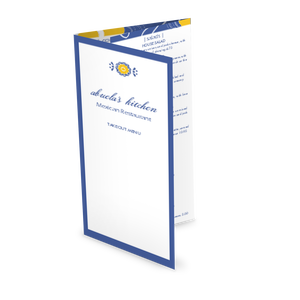 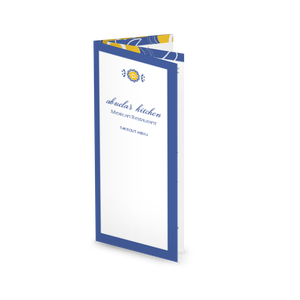 A Mexican flower icon in cornflower blue and yellow accents the menu header in a sophisticated script font. 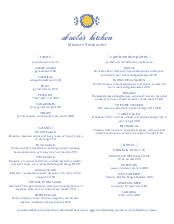 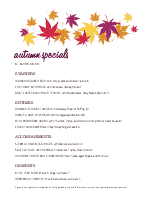 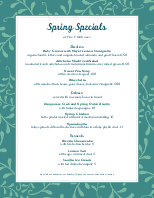 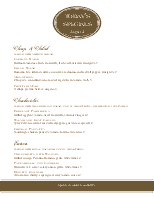 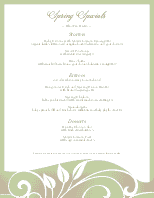 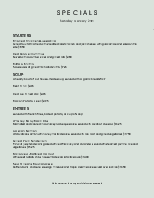 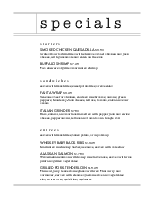 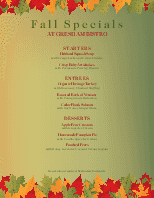 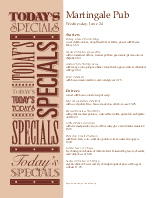 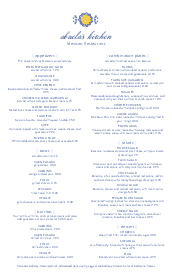 Customize the menu insert with bar drinks, desserts, happy hour, or lunch specials.